Today is my younger brother Chase’s 20th birthday. Rather than explicitly write about how he’s the most amazing kid possible – which I’ve done here previously and remains one of the most genuinely happy/true articles I’ve posted – I decided to offer him a different kind of gift. I’m already giving him a few more things, but today I offered Chase the opportunity to choose what I wrote about. He thought that his genuine request would infuriate me. Thankfully he was wrong. My younger brothers Chase, Cary, and I all tend to share fandom of similar things. Thomas the Tank Engine, The Simpsons, Pokemon, and plenty more. Music is a bit trickier, for our tastes have more individualistic streaks. Steely Dan is probably the only band we universally love to similar degrees, but for the most part we at least partially get along. But for roughly two years now Chase and Cary have become massive fans of the band Twenty One Pilots. Similarly, they are convinced that I hate them either out of ignorance, or out of spite. That actually isn’t true in the least. Chase’s request today was for me to give a review of the band. That roughly translates into him leveraging me into listening to their music. He thought this would be the point where he lost me. However, it was only hours before he gave me this assignment that I was thinking on the same topic. I agreed to Chase’s topic because I think I finally honed in on why I haven’t joined them in loving Twenty One Pilots. It’s not at all that I don’t like Twenty One Pilots. I think they absolutely have talent to them. Their current single, “Stressed Out” actually caught me totally off guard as of late. I was unaware that they were behind the track the first couple of listens I had. I thought it was largely interesting – not something that was going to jump it’s way into every playlist I have, but certainly better than most of pop radio. When I found out that it was them I immediately gave them credit where credit was due. While researching this piece I had a similar reaction to “Tear in My Heart,” which I also didn’t know originated from the Columbus, OH duo. They aren’t bad in the least. 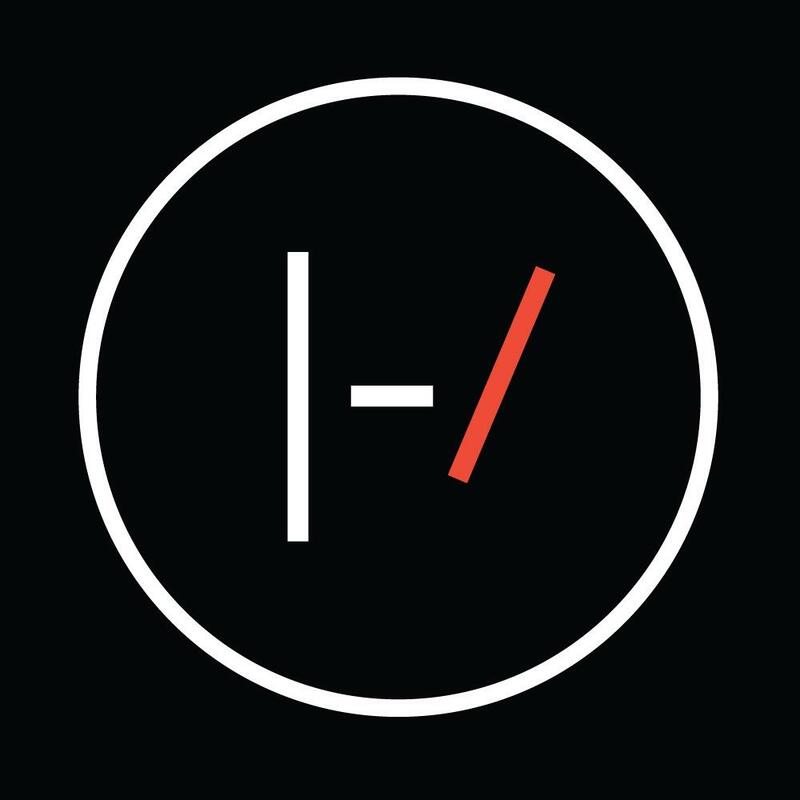 I took a quick listen through the most popular selections from their two albums, Vessel and Blurryface. I found myself largely entertained by everything. I don’t have anything to complain about here without nitpicking. That’s high praise, because most artists I can normally center in on something that makes me not like them. Twenty One Pilots doesn’t have such an issue. They’re good, so Chase and Cary are wrong in the best way when thinking I am hating them for no reason. Quite honestly, if anything in researching this was winning me over it’s their live performances. They sound good on their records, but they strike me as a band that was meant to be live. There’s such a clear energy exchange between a live crowd and the band that heightens the songs. This is true of most performers in as much that they interact with a crowd’s vibe, but it seems like the louder and more fluid they are allowed to be the better Tyler Joseph and Josh Dun get. They played at the Boston Calling Music Festival on a day I didn’t attend, but my girlfriend Laura swore by their live show. After all, there has to be a reason they’re playing two nights at Boston University’s Agganis Arena this summer, steps away from the bedroom where I’m typing this. Overall, I genuinely like a good deal of the songs I’ve heard. I, again, forgot I knew “Heavydirtysoul” before embedding the clip above, and enjoyed it all the way through. I don’t have much of anything to say negatively about the band. They have a unique sound in an increasingly similar period of music. Twenty One Pilots is a rare exception where their songs are their own, where someone like Taylor Swift’s could have been given to Selena Gomez instead and they probably still would work. So here becomes the problem. Why aren’t I a huge fan of the band like Chase and Cary? Why don’t I listen to Blurryface with the same passion that I do other albums. This is what I was pondering last night when the root of the problem finally dawned on me. I appreciate the music that they make immensely. I can’t find anything wrong with it. They just happen to play a unique style that doesn’t entirely tie back to the rest of my musical preference. I am an odd person when it comes to my favorite artists. I tend to be all over the place, but most of my favorites have something core to them that link together in my brain. Rap is huge for me, and I could go all over the place here. But I find myself drawn to the musical stylings of Atlanta, GA (Outkast, Childish Gambino, Big Boi, Run The Jewels, TI, Usher, etc. ), grandiose or experimental styles of production (Jay Z, Kanye West, Drake, Kendrick Lamar), and plenty more. I similarly love anything with roots in funk, jazz, or R&B music (Steely Dan, Curtis Mayfield, Otis Redding, Stevie Wonder, Chance the Rapper, again Outkast). But on the rock and pop side of things I am normally drawn to dynamic, powerful voices (Justin Timberlake, Alessia Cara, Amy Winehouse) or guitar driven rock with great vocalists (Paramore, Queens of the Stone Age, Foo Fighters, Nirvana, Pearl Jam, Johnny Cash). This is a small-ish selection of what I listen to frequently. The only major exception to these criteria would likely be LCD Soundsystem, who have released some of the most critically acclaimed music of the 2000s. But Twenty One Pilots really doesn’t fit into any of these categories. That’s not a bad thing in the slightest, but it suddenly made sense to me. They have a brand of electronic driven indie rock that works wonders for them. I just happen to enjoy indie rock while maybe not quite loving it. I am the kind of guy who would see this band live in a heartbeat, but they won’t be taking away plays from something as sprawlingly weird as The Life of Pablo. And on that note, it’s similarly fitting that my least favorite album by Kanye West is also his most electronic, Graduation. Basically, It’s nothing personal. I don’t have an issue with the band at all. If I were asked for suggestions on what to listen to I could easily find myself mentioning throwing a few of their hits out there. But by virtue of being as unique as they are, they probably won’t knock off any of the spots in my Top 25 Most Played on iTunes any time soon. But if the goal of this was to get me to throw a couple of their songs on my upcoming Spring Break playlist then Chase has succeeded. Bravo you brilliantly sly birthday boy.